The Croquet Association Shop: all you need for Croquet. Our George Wood Garden and Hurlingham Croquet Sets are now available in a nylon carry bag making them easier to carry and also cheaper. 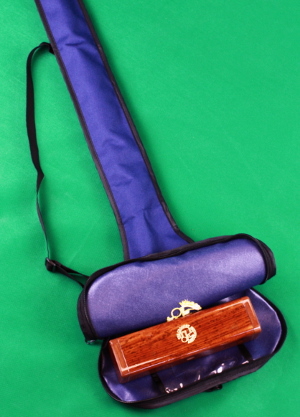 The George Wood Original is our recommended 1st buy for new Club Croquet players. Essential for carrying and protecting your Croquet mallet. Our mallet bags come in two sizes with a choice of padded or unpadded. A must have for beginners. This book will help you get started and covers both Association and Golf Croquet. 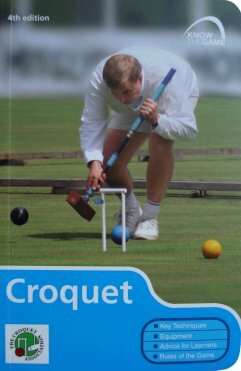 Our Aim at the Croquet Association Shop is to provide equipment to Croquet Players and Croquet Clubs. We have Croquet Sets for fun games in the Garden as well as Mallets, Books and Clothing for Club Players. We also supply balls and hoops which meet CA tournament regulations for Croquet Clubs. As well as providing expert advice we offer the unique chance to try out our range of Croquet Mallets here at our shop premises in Cheltenham. For those unable to travel to Cheltenham we will talk through your requirements on the phone. To avoid disappointment, we advise customers to make an appointment before visiting the shop.